By examining the fiction of three women modernists--Willa Cather, Gertrude Stein, and Nella Larsen--this book complicates binary paradigms of national, gender, and ethnic identities in the interwar period. 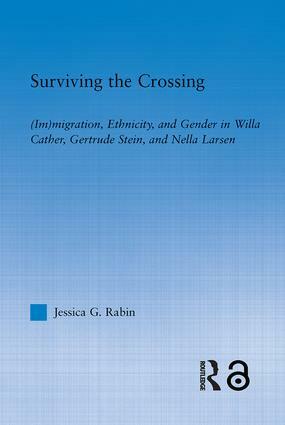 In place of essentializing categories of identity, Jessica Rabin explores the liberating and dislocating ramifications of using multiple subject positions as a means of representing identity. While these three authors have been studied in non-intersecting categories (pioneer literature, high modernism, and the Harlem Renaissance, respectively), Jessica Rabin traces their similarities, showing how the dispersal of fixed identities are facilitated by the language of fiction.